Scrape out the vanilla seeds from the bean. For the porridge, mix rolled oats, milk, honey, vanilla seeds, and a sprinkling of cinnamon to taste. For the berry compote, mix cherry juice, sugar, and starch in another bowl. Add half of the frozen mixed berries. Transfer both bowls to an oven with microwave function and cook for 10 min. at 600W, stirring often. Remove both bowls, add the remaining frozen mixed berries to the berry compote, and stir until combined. 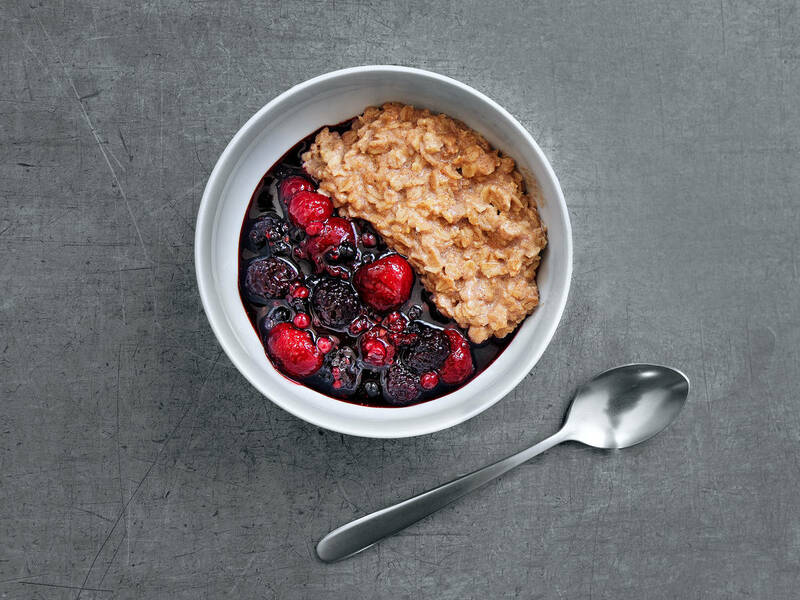 Mix the porridge with berry compote. Enjoy!